86 posts categorized "Rocklyn Homes"
Cooper Manor is priced from the high $150's and has 5 homes ready to close now plus a $5000 Buyer Bonus for your client when they use Rocklyn’s preferred lender. Beautiful townhomes with elegant features and timeless details such as masters on the main, lofts, media rooms, hardwood floors, granite countertops, black appliance packages (see agent for details)fenced back yards and much much more. Sales Center Open Daily. Tuesday – Saturday 11 a.m. – 6 p.m. and Sunday and Monday from 1 p.m. to 6 p.m.
Give Gina Scott a call at 404-663-5946 or email us at Coopermanor@rocklynhomes.com. *$5000 Incentive mentioned above can only be applied toward Upgrades And/Or Closing Costs on all inventory homes written after 1/15/15 and closed by 5/31/15. Borrower must use our preferred lender , BankSouth. Agents who write a contract between 4/28/15 and 6/5/15 will receive the above mentioned bonus at closing. Information is believed accurate but not warranted and is subject to change or withdrawal without prior notice. See agent for details. Rocklyn Homes is excited to announce that The Enclave at Old Peachtree is almost sold out and only nine homes remain in this popular community in Lawrenceville. The Enclave at Old Peachtree is conveniently located minutes from I-85 and Sugarloaf Parkway in Lawrenceville and is in a prime area. You will be just down the road from Lake Lanier and have easy access to shopping at either The Mall of Georgia or Sugarloaf Mills (formerly Discover Mills), both which are minutes away. The Enclave at Old Peachtree is in the "sought after" Collins Hill School District ensuring homeowners with children the opportunity for a great education. Children may attend Rock Springs Elementary, Creekland Middle or Collins Hill High School. At Rocklyn Homes, they believe that your home is the most important home they will build. This means that each home is built with quality that will last a lifetime. Not only is each home built with excellent quality but you will love the designer touches in each home plan.Make your move now to secure your place...before they are all gone! * Rocklyn Homes reserves the right to change prices, features, designs and specifications without prior notice at any time. Information is believed to be accurate but not warranted. Another exciting new single family home community by Rocklyn Homes, Horizon is ideally located just off of Cruse Road and directly across the street from Sweetwater Middle School. From this prime vantage point, you have easy access to I-85, Gwinnett Place Mall, Gwinnett International Farmers Market, shopping, dining and local parks. Amenities include a clubhouse, swimming pool, tennis courts and playground. Horizon features single family craftsman style homes priced from the mid $200's with gorgeous detailing like gourmet kitchens with islands, granite counter-tops with tile backsplash, stainless steel appliances, game rooms, Master Suites with sitting rooms, Master baths with jetted garden tub, separate tiled shower and raised double vanities. Home plans include three to five bedroom plans such as the Chadwick, Inglewood, Magnolia, Sierra, Sycamore and Weston. Homeowners with children will attend Corley Elementary School, Berkmar Middle School or Berkmar High School in the Gwinnett County School System. Stop by today to tour our homes, visit us online or give us a call at 678-314-9866. Looking for a new home in the Snellville area? Rocklyn Homes is now building its final phase of Highland Park. Highland Park, ideally located just off of Hwy 78 in Snellville is an exclusive gated community. This quaint community consists of only 56 home sites with oversized back yards, brick and stone construction, 3 bedroom/2.5 bath smart homes with gorgeous detailing such as granite countertops, hardwoods on the main, relaxing Master Suites, oversized lofts, built-ins, cozy fireside family rooms, plus much more! 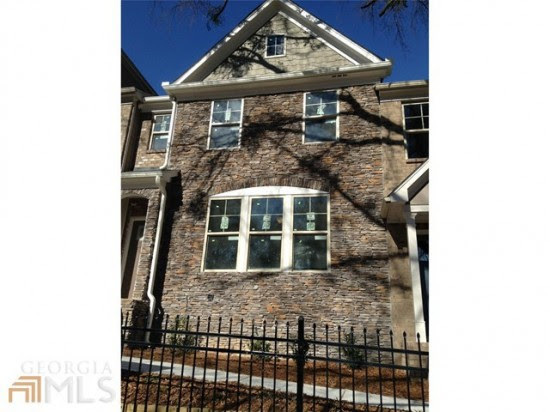 Highland Park is the latest luxury townhome expansion in the Snellville area. Can't come up with a downpayment? Check to see if you qualify for down payment assistance up to $7500 through the Georgia Dream Program* as well giving you up to $15,000 extra cash (see agent for full details) for closing costs, upgrades, downpayment and much much more. Not only is the cash incentive fantastic but you can literally move in your clothes, furniture, food etc and be ready to live in your new home without having to come up with the money for new appliances or blinds! This is a fabulous deal! Ideally located just off of Hwy 78 in Snellville, Highland Park has easy access to Snellville's new Town Center, Hwy 124 with numerous shops and restaurants, The Avenue at Webb Gin along with many other fine retail establishments and restaurants. You will be a short ride to Stone Mountain Park where there are year-round activities for the whole family. Easy access to Hwy 124, I-285, Stone Mountain, Ronald Reagan Parkway and Sugarloaf Parkway. Homebuyers with children will attend "sought after" Gwinnett County Schools, Magill Elementary, Snellville Middle and South Gwinnett High School. Call 770-312-0515 for more information or visit our website. Rocklyn Homes is proud to welcome Kerry White as their New Home Sales Manager in the metro Atlanta area. Kerry White started her real estate career as an on-site sales consultant with a well-known real estate company that specialized in new home sales in 2002. She was consistently awarded and promoted for outstanding performance, attendance and team work. Her sales while working with this company soared to over 109 million in total sales. Kerry holds an Associate of Business Administration from Georgia Perimeter College and is currently pursuing a Bachelor’s Degree in Marketing and Real Estate at Georgia State University that will be completed the spring of 2016. With over 14 years of real estate sales and marketing experience, Rocklyn Homes recognizes Kerry's accomplishments skill of managing others with her drive and experience. In her current position, she will facilitate and manage more than 400 sales this year and inspire and manage over 15 new home sales consultants. Her positions have included Regional Sales Director, Co-owner/Broker of her own real estate group, Community Sales Managers and in true tradition, now New Home Sales Manager with Rocklyn Homes and an Associate Broker with Garnett Lee, exclusive Real Estate Brokerage Firm for Rocklyn Homes. Kerry began working with Rocklyn Homes in August 2012. She is excited to be working with Rocklyn. "Rocklyn encompasses my life values so they were an instant fit." says Kerry. They believe in family, loyalty, respect and hard work. They have given my husband and I the opportunity to soar in our careers. They embrace all of their employees as if they are truly family. I look forward to a long and successful career as a part of the Rocklyn Homes family. This is the best new homes builder in Atlanta to work with." Spring break is next week for most of the local school districts and it is wonderful to live in an area that offers a spectacular quality of life like the Lawrenceville area of Gwinnett County. Why not take the kids out to do some spring time activities and while you are out and about, check out your new home by Rocklyn Homes. Whether you are living in the metro Atlanta area or thinking of relocating here, there is one thing for certain. Gwinnett County is full of fun and educational activities for you and your family. Medieval Times in Lawrenceville: Hear ye! Hear ye! Join the Knights of the Round table for jousting, feasting and a whole lotta cheering! BONUS: Visit this website for a discount link! Cherokee People Spring Break Program: Visit McDaniel Farm Park in Duluth on April 7th for an up-close, hands-on look at the Cherokee Native American culture. Kids will go on a nature walk, build pottery and learn about plants and their uses. $6 and pre-registration is required. Fountains of Gwinnett: Cool off this summer by playing in the fountains of Gwinnett!Suwanee Town Park, Duluth Town Green and Mall of Georgia each offer interactive fountains for residents and visitors to use. Free. Southeastern Railway Museum: Tucked away near the railroad tracks in Duluth theSoutheastern Railway Museum awaits the squeals and screams of your little ones. See full size train cars, models and artifacts from a variety of rail cars. Gwinnett Braves: Batter up! See the MiLB Gwinnett Braves kick off the season April 9-12 at Coolray Field in Lawrenceville! Promotions: Thursday, April 9 – Opening Night T-Shirt Giveaway Presented by Georgia Power (First 2,500 fans)/ Fireworks, Friday, April 10 – Fireworks Friday/ Magnet Schedule Giveaway (First 2,500 fans) , Saturday, April 11 – Magnet Schedule Giveaway (First 2,500 fans)/ Georgia Bubbleman Appearance, Sunday, April 12 – Cartoon Network Stop Bullying: Speak Up/ Sunday Family Funday. For more information or to find a community near you visit us online. Rocklyn Homes is excited to welcome five new community sales managers to their new home team. Atlanta's real estate market has been very active this year and Rocklyn Homes is building new communities all over metro Atlanta. In Gwinnett County, Rocklyn Homes is building Cooper Manor, an exciting new townhome community located just of of Hwy 78 in the Snellville area. Homes start in the high $160's and five homes are ready to close now. There are two decorated models for your viewing. Cooper Manor welcomes Gina Scott as the new Community Sales Manager. Gina Scott has been fascinated with real estate for as long as she can remember. Growing up in a big city in South America, Colombia and a Gwinnett resident for the last 23 years, she has been exposed to many of its diverse neighborhoods, dedicating her last 12 years on helping her clients by making their dreams come true. Fluent Spanish speaker, mother of 4 boys and married to a civil engineer/builder she has always enjoyed all aspects of the real estate business. She loves meeting and establishing relationships with people from all walks of life, and helping them with one of the most important decisions they will ever make. Now, in the new construction market she can bring all these years of expertise to help buyers in the process of building their own home. She has represented dozens of clients in residential, commercial, investment, land, and multi properties, making her an expert in the field of real estate. Give Gina Scott a call at 404-663-5946 today. 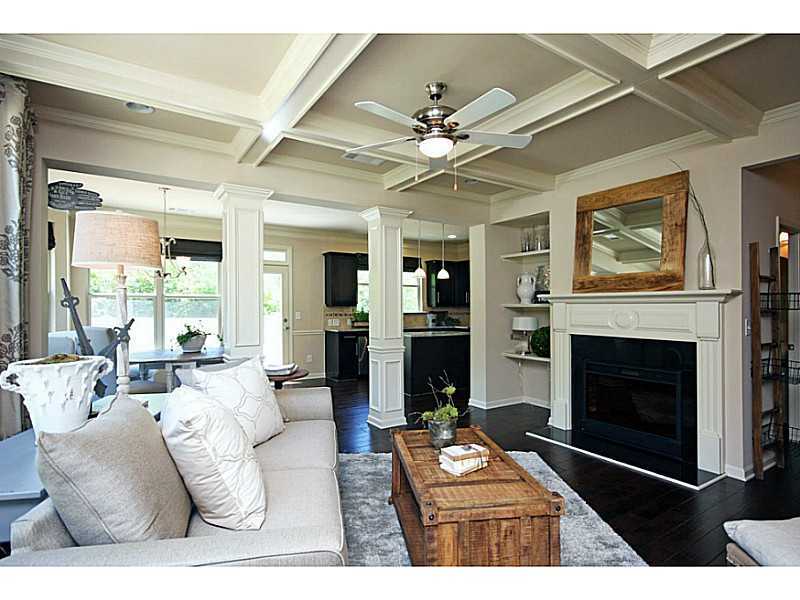 Paxton Landing, also in Snellville, is just getting off the ground and is now pre-selling. Paxton Landing offers two and three story luxury townhomes starting from the high $180's in one of the most sought-after areas of Gwinnett County minutes from I-20, I-285 and I-85 just off of Killian Hill Road. David Tanenbaum is the new Community Sales Manager for Paxton Landing. He started his real estate career in Naples, Fl in 2006. David is very excited to be a part of the Rocklyn Homes family because he believes in their quality. David is proud to represent a home builder that believes in building quality homes and offering outstanding customer service throughout the sales process. When David is not working with Rocklyn Homes, he enjoys white-water kayaking, table tennis, and traveling. Give David Tanenbaum a call at 404-772-6637 today. Oakdale Commons offers two and three story luxury townhomes in one of the most sought-after areas of Gwinnett County minutes from I-85. Being conveniently located on Cruse Road near Pleasant Hill Road in Lawrenceville, this community is sure to be a favorite. From the mid $100's, Oakdale Commons is excited to welcome Diane Quintero as their new Community Sales Manger. Of Puerto Rican descent, Gina with her family moved to Georgia in 1985 and she speaks fluent Spanish. Gina started her Real Estate career in 2002 at Georgia State University where she majored in Broadcasting with a minor in Real Estate. Starting out in the resale arena of real estate, she took a break to have two children and when she returned, she decided to pursue the new home sales arena. She is very happy to be working with Rocklyn Homes and looks forward to helping many new hombuyers achieve their dream. Call Diane Quintero at 770-355-6512 today. In South Fulton County, Highland at Princeton Lakes is coming soon. Conveniently located in South Fulton off of Camp Creek Pkwy and 285 in Atlanta, Highland at Princeton Lakes will feature Rocklyn's popular townhome series. Homes will start from the mid $100's. Highland at Princeton is excited to welcome Stephanie Williams. Since Stephanie was a little girl Real Estate has always been her passion. She grew up watching her grandfather build homes from the ground up and was very intriqued by the process. She has been active in real estate since 2013. Stephanie truly enjoys the process of assisting people who are looking for their perfect home and experiencing firsthand the excitement and the anticipation her clients have when they finally find the right home, is more than gratifying, it is rewarding for her to assist in the process of finding that one place the buyer feels comfortable, which is why she is so excited to sell homes with Rocklyn Homes. She is honored to work with a company that shares her passion. Rocklyn Homes prides themselves on providing the best quality in building homes and keeping their clients happy. Along with Rocklyn Homes, Stephanie has her clients and customers best interest at heart. Call Stephanie Williams at 404-610-9054 today. Coming soon to Mableton is Volunteer Ridge. This fabulous new home community will offer single family homes in one of the most sought-after areas of Cobb County minutes from I-285, I-20 and I-75 and I-85. Being conveniently located on Veterans Memorial Highway, Volunteer Ridge provides easy access to The Silver Comet Trail, Six Flags over Georgia, Atlantic Station and Hartsfield Jackson International Airport. Homes will start from the mid $200's. Volunteer Ridge is excited to welcome Sandra Brodnax as their new Community Sales Manager. Sandra is no newbie to Real Estate with over 15+ years of combined experience including some resale and primarily new homes sales. Drawing on her experience allows her to understand both the Buyer and Seller side of the equation, to set proper expectations and than meet and exceed those expectations. Sandra is a proud recipient of the Presidents Circle Award by Berkshire Hathaway New Homes Services Georgia Properties in 2013 and received special recognition in the Atlanta Business Chronicle for #2 Sales for Berkshire Hathaway New Homes Sales. Sandra has worked with several new home builders but set a goal to work with Rocklyn Homes and is very excited to have reached her goal as she looks forward to working with a home builder with such an excellent reputation for quality and customer service. Call Sandra Brodnax at 678-558-4398 today. Visit a Rocklyn community today and let us help you select your dream home. At Rocklyn Homes, the most important home we’ll build is yours. News Bulletin - Upcoming Communities announced by Rocklyn Homes - Are you in the market? The housing market is in great shape in the metro Atlanta area and Rocklyn Homes has been busy building new homes and opening new home communities. Five new home communities are currently in the works for Rocklyn Homes. In Gwinnett county there are two, Paxton Landing in Snellville and Oakdale Commons in Lawrenceville, Volunteer Ridge is in the Mableton area of Cobb County and Highland at Princeton Lakes in located just off of Camp Creek Parkway in South Fulton County. In Forsyth County, Champions Run has a new phase opening soon from the $400's. Paxton Landing offers two and three story luxury townhomes in one of the most sought-after areas of Gwinnett County minutes from I-20, I-285 and I-85. Being conveniently located on Killian Hill Road near Hwy. 78 provides easy access to downtown Snellville, Stone Mountain Park, Yellow River Park, shopping, dining and local parks. There’s something for everyone at Paxton Landing. Floor plans are coming soon, check back often or visit us online. Townhomes will start in the high $170's. Oakdale Commons offers two and three story luxury townhomes minutes from I-85. Being conveniently located on Cruse Road near Pleasant Hill Road provides easy access to Gwinnett International Farmer’s Market, shopping, dining and local parks. There’s something for everyone at Oakdale Commons. Floor plans are coming soon, check back often or visit us online. Townhomes will start in the mid $100's. Volunteer Ridge offers two and three story luxury townhomes minutes from I-285, I-20 and I-75 and I-85. Being conveniently located on Veterans Memorial Highway provides easy access to The Silver Comet Trail, Six Flags over Georgia, Atlantic Station, Hartsfield Jackson International Airport, shopping, dining and local parks. There’s something for everyone at Volunteer Ridge. Floor plans coming soon, check back often or visit us online. Townhomes will start in the mid $200's. Coming Soon is Highland at Princeton Lakes. This new townhome community is conveniently located in South Fulton off of Camp Creek Pkwy and 285 in Atlanta and features our popular townhome series. From this ultra convenient location, you will have easy access to the new Camp Creek Marketplace with popular shopping and dining options and be minutes from Hartsfield-Jackson International Airport. You can jump on the interstate and be downtown in 30 minutes to enjoy popular festivities, concerts, sporting events and world-class shopping in the Buckhead area. Please check back for more information on this new community or visit us online. Townhomes will be priced in the mid $100's. Champions Run has a new phase opening soon in Forsyth County from the $400's. Featuring family-friendly convenience, great schools, and 4, 5 or 6 bedroom homes with basements. Amenities include swim and tennis. Close to Atlanta and Lake Lanier for endless weekend fun. Also nearby are plenty of excellent stores and restaurants, an outstanding collection of local golf courses and the renowned Northside Hospital. Please check back often for more information on this community or visit us online. Rocklyn Homes is well known in the metro Atlanta area for their dedication to the homebuyer. Rocklyn Homes builds a beautiful well-constructed home at a reasonable price. 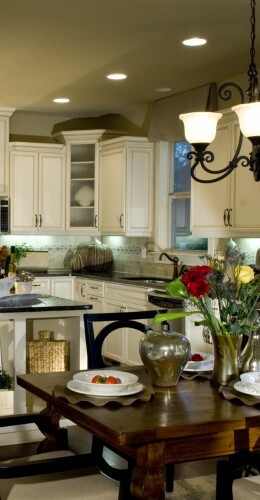 Not only is the home well-constructed but you will find all of the top designer features that todays homebuyers want. Their promise to you is to deliver the quality, value, and reliability that makes a Rocklyn Home a home you’ll feel good in today and tomorrow. Rocklyn Homes has communities in Barrow, Cobb, Forsyth and Gwinnett counties and South Fulton counties. 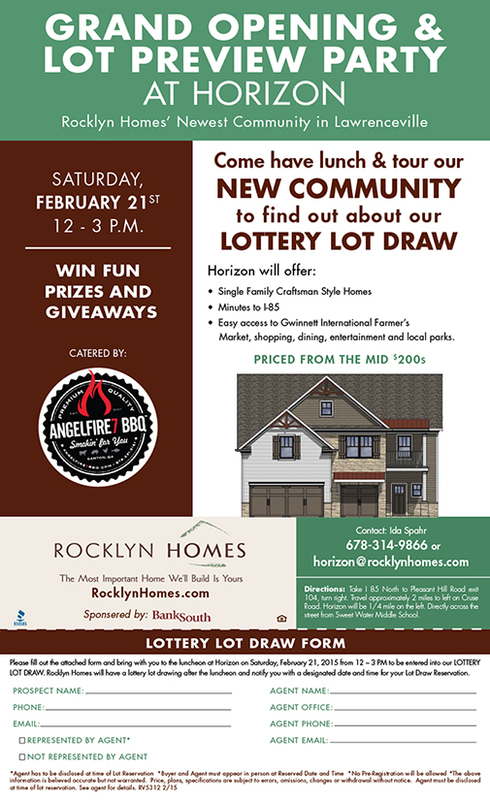 Rocklyn Homes is excited to invite you to join them on Saturday, February 21,2015 for their Grand Opening & Lot Preview Party at their newest home community, Horizon, in Lawrenceville. There will be prizes and giveaways! Horizon is ideally located at just off of Cruse Road and directly across the street from Sweetwater Middle School. From this prime vantage point you will have easy access to I-85, Gwinnett Place Mall, Gwinnett International Farmers Market, shopping, dining and local parks. Catered by Angelfire BBQ out of Canton, who is famous for their food truck "Thelma Jean" and all of the events they cater on a regular basis including 2015 BEER, BOURBON & BBQ FESTIVAL at Atlantic Station and 2015 JEKYLL ISLAND BBQ BEACH BASH and are well-known for their pork, chicken, salmon and briskets not to mention some outrageous brunswick stew. Horizon will feature single family craftsman style homes price from the mid $200's with all of the drop dead gorgeous detailing that Rocklyn Homes is well known for in the metro area. Check back frequently for more information, visit us online or give us a call at 678-314-9866. Ever wonder about the difference of renting or owning your own home? There are advantages to owning that you might not have considered. Everyone knows that when you rent, the landlord is the one making all the money. You have to live somewhere...why not build equity in your own home so that you are the one increasing your long term wealth? One of the major advantages to owning include some tax advantages. Did you know you can deduct all of your mortgage interest per IRS Publication 936. and the first years of any mortgage loan is mostly interest? There are other deductions and tax savings that apply as well. Check with your tax advisor for full details. Security is a big deal! When you choose to purchase, you will have a secure place for your family to live — a home provides a permanent place where your family can live and grow, and you can decorate or expand a house the way you like to create your dream home for your family. There is a sense of community when you own, homeowners often are more involved in the well-being of their communities; many homeowners work together for better schools and less crime. Now that you know some of the pro's of homeownership, you just need to decide where you would like to purchase your new home. Consider Highland Park in Snellville. For a limited time, Rocklyn Homes is offering $10,000 Buyer Bonus plus Washer & Dryer, Refrigerator, Blinds and a fenced in back yard with preferred lender but hurry because you must choose a standing home and close by March 31,2015. Can't come up with a downpayment? Check to see if you qualify for down payment assistance up to $7500 through the Georgia Dream Program* as well giving you up to $17,500 extra cash for closing costs, upgrades, downpayment and much much more. Not only is the cash incentive fantastic but you can literally move in your clothes, furniture, food etc and be ready to live in your new home without having to come up with the money for new appliances or blinds! This is a fabulous deal! The exclusive gated community is nestled off the beaten path in a highly sought after area! A quaint community consisting of only 56 homesites with oversized back yards, brick and stone construction and easy access to restaurants and shopping. Now offering 3 bedroom/2.5 bath smart homes with gorgeous detailing such as granite countertops, hardwoods and sought after features such as relaxing Master Suites, oversized loft, built-ins, fireplace, plus much much more! Highland Park is the latest luxury townhome expansion in the Snellville area. FINAL PHASE – HURRY IN AND SELECT YOUR NEW HOME TODAY! Call 770-256-8107 for more information or visit our website. * All information is believed to be accurate but is not warranted. Subject to errors, omissions, change and/or withdrawal at any time. Pricing and plans are subject to change without notice. *10,000 Buyer Bonus are with preferred lender only. Check with sales consultant for full details and requirements. *The Georgia Dream program has strict qualifications. Check with your on-site sales consultant to see if you qualify. Refrigerator, washer,dryer, blinds and fenced yard good on homes that close by 03/31/2015. Check with onsite sales consultant to get full details and qualifications! Homebuyers are out early this year and townhomes are very popular with many homebuyers. Townhomes appeal to first time homebuyers, empty nesters, retired, families as well as singles. If you can't imagine how a new home will look without furnishings, than stop by Cooper Manor in Snellville and tour our 2 beautifully decorated model homes and see for yourself. Rocklyn Homes builds homes that today's homebuyers want. You will find exciting new ideas and upgrades that you rarely see in homes in this price range. Cooper Manor homes have elegant features and timeless details such as masters on the main, lofts, media rooms, hardwood floors, granite countertops, black appliance packages (see agent for details)fenced back yards and much much more. There are seven homes ready now so hurry in to make your selection. The first model home is The Wheaton on Lot 2 - Come home to a Master on the main (almost unheard of in townhomes). Easy maintenance with hardwood floors throughout the main (except Master). Entertain away in your gourmet kitchen[pictured right] with island, granite countertops, GE Black dishwasher, range, microwave (vented to outside) and recessed lighting all overlooking your large family room with fireplace. Relax and retreat to your Master Suite with spa-like bath featuring tiled floors and shower, raised double vanity and walk-in closet. On the second level is a great loft or children's retreat and two more secondary bedrooms that share a hall bath. Laundry on main. 2 car Garage. Homes include a security system and 8x10 patio. The Yorkshire on Lot 1 - Imagine living in this spectacular home with large entrance foyer and open floor plan. Creating meals and entertaining will be sublime in your open kitchen with island, granite countertops, pantry, GE Black dishwasher, range, microwave (vented to outside) and recessed lighting all overlooking your dining room and large family room with cozy fireplace. Upstairs relax and retreat to your Owner's Suite with spa-like bath featuring his & hers vanities, garden tub, tiled shower and walk-in closet. Two more secondary bedrooms share a hall bath. Home includes a security system. Hurry in to take advantage of a limited time offer of $7500 buyer incentive for upgrades or closing costs (with preferred lender Bank South) and for a short time, you will also receive 2" Blinds, Refrigerator and Washer & Dryer. With all these great incentives, you can act quickly and beat the spring rush! Conveniently located just off of Hwy 78 in Snellville, Cooper Manor will have easy access to the quaint town of Grayson, Hwy 124 with its numerous shops and restaurants, Snellville's new Town Center (think Farmer's Markets, festivals, and orchestras during special events) and of course just down the road from the popular Stone Mountain Park. On Hwy 124, you will find The Avenues at Web Gin with designer shops and fabulous restaurants, easy access to Sugarloaf Parkway and Sugarloaf Mills. Give Sherry Collins a call at 404-786-6636 or 770-978-6333 or email us at Coopermanor@rocklynhomes.com. *All information is believed to be accurate but is not warranted. Subject to errors, omissions, change and/or withdrawal without notice. *$7500 incentive for Buyer Bonus is with preferred lender Bank South only. Check with on-site sales consultant for $7500 buyer bonus for full requirements. Thinking of a spring move? Why not, the weather will soon be warm and sunny and it would be great to be closer to Lake Lanier for the coming summer months! Watermark by Rocklyn Homes announce they are now pre-selling 16 two-story townhomes that will be ready for spring move in and for a limited time, they are offering a $10,000 Buyer Bonus* that can be used towards upgrades or closing costs but hurry...you must close by 03/31/2015. Have you ever needed an in-law suite or just extra space for a guest room or teen suite? You are in luck! These townhomes come with a full finished basement that is ready to be used however your family needs to use it and if you hurry, you can make your interior selections now and customize your new home! Not only do you have all that extra space, you will be able to gaze on your new deck that looks out over your huge back yard! Rocklyn Homes is well-known in the Atlanta area for their attention to detail and the quality of their homes. Watermark features new craftsman-style townhomes with 3 or 4 bedrooms on two levels with basement. These townhomes have features like large Owner's Suites, Bonus rooms, Kitchens with Morning Rooms and the finest upgrades including Granite Countertops, GE appliances, Hardwood Flooring and more. which to choose. If you love to be out on the lake, then you will be right down the road from Lake Lanier. Lake Lanier is an exciting area with year round activities including fishing, boating, water-jets and skis, great hotels, golf, a water-park. Come and enjoy a fabulous retreat or day getaway! If you need to commute to work or play; you will find easy access to major interstates, I-85 and I-985. Homeowners with children will attend schools in the Mill Creek Cluster including Mill Creek High which ranks an enviable 9 out of 10 in test scores. Mill Creek offers academic excellence including advance placement, fine arts, music, business and technology and many other academic courses. Mill Creek is also a Community School which holds summer camps, drivers education, baseball camps, dancing camps and much more to keep your children occupied throughout the year and give them a well-rounded education. To request more information on Watermark click here or call at 770-932-2807. All information is believed to be accurate but is not warranted. Subject to errors, omissions, change and/or withdrawal without notice. *10,000 Buyer Bonus is on standing homes only. Must close by 03/31/15, see listing agent for full details and requirements. Build Equity -Why keep throwing your money away on rent when you can start putting it toward investment in your future? Home equity is difference between what you owe and you home's value. You build equity on a home as you pay off your mortgage. When you rent, your landlord builds equity and wealth. Tax Benefits - Whether you are paying rent or paying a mortgage, you are still going to have monthly bills, so why not make it a payment that's tax-deductible? There are many tax benefits available to home owners. Start deducting the interest on your mortgage and property taxes from your income tax and stop giving your tax return to the landlord. Save Money - Years ago...back in the day, rent was cheap and owning a home was expensive. In 2015, rents are expected to rise even more and owning your own home is now the better deal! In some cases, you can build a 3 bedroom, 2 bathroom home for less than you are paying in rent each month. Start enjoying the benefits of owning a new home and stop making your landlord wealthy! Stop Living with NO Color - Your landlord decides what "neutral white" color, your house is going to be. No individuality, no color, no personality....if you purchase a new home, you may be able to make decorating choices, flooring choice and lighting choices that reflect your personality ...not the landlords. Great Incentives - For a limited time, Rocklyn Homes is offering a $7500 Buyer Bonus* with 2” Wood Faux blinds, Refrigerator and Washer and Dryer on all homes. Contracts much be written and closed by 3/31/15. Need more information? Bottom line.....It’s never been a better time to buy a Rocklyn Home at Cooper Manor. Are you looking for a new home in the Smyrna area? Rocklyn Homes has the perfect home for you. If you love townhomes but miss the extra space of a third floor than be sure to check out the "award winning" White Oak. For a limited time, you will get $12,500 buyer bonus* on the three story townhomes! These incentives can be used "any way you want" such as closing costs, HOA fees, or design upgrades. Not only will you receive $12,500 on the three story townhomes but you will also get free blinds, refrigerator and washer and dryer and rear-entry garage! *All incentives are on standing homes only with preferred lender, Bank South. See onsite sales consultant for full details and requirements. This community is selling rapidly with 6 sales last week and 30 homes that can close in the next 30 days! Not sure if a townhome is for you? Stop by and take a tour of our available homes or plan to attend the opening of our newest model home, The Springfield, at the end of the month. All information is believed to be accurate but is not warranted. Subject to errors, omissions, change and/or withdrawal without notice. *$12,500 Buyer Bonus on three story homes plus appliance package is with Preferred Lender Only. Homes must close by 03-31-2015. Rocklyn Celebrates Outstanding 2014 with 368 Sales! Rocklyn Homes is excited to announce that they sold 368 new homes as of the end of 2014. This is a huge accomplishment in the new homebuilder arena and Rocklyn is very proud of their teams hard work throughout 2014. Rocklyn Homes has been extremely successful in the metro Atlanta area and to announce that they are on Atlanta Business Chronicles Top 20 Home Builders list which came out in August, 2014. The builders are ranked by the number of homes closed in 2013 and Rocklyn is number 8! What makes Rocklyn Homes so outstanding? Rocklyn Homes believes it takes talent and tenacity to make a good builder, but it takes a strong team of dedicated individuals to make a good builder great! From building on the expertise of leaders in the building sciences to top residential designers to joining with those individuals who have excelled in achieving top honors in customer care, Rocklyn has created a winning formula for building the best designed home at the greatest value in the best locations, all while ensuring the home is built of the utmost quality and you, the homeowner, is completely satisfied. Rocklyn Homes creates a quality home but they did not forget the details! Homes built by this family-owned builder features exquisite detailing like arched doorways, crown molding, hardwood floors, gorgeous designed kitchens, granite countertops, 42 " cabinets, appliance packages and much much more. The homes they build for you today delivers the quality, value and reliability that will make you feel proud today and tomorrow. Rocklyn Homes has communities in Barrow, Cobb, Forsyth and Gwinnett and Fulton Counties. In Barrow is The Falls of Braselton and is located just minutes from I-85, The Falls of Braselton features a variety of spacious 3-5 bedroom homes and was voted Barrow counties Top Selling Community in 2011. Homes start from the 190's. 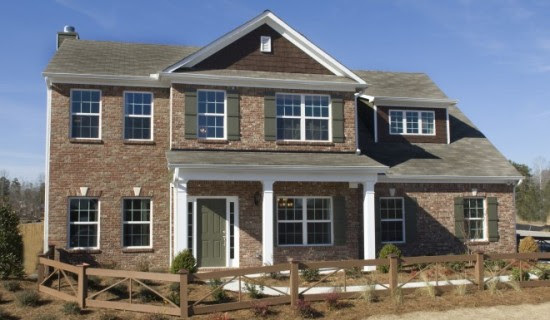 Cobb County is proud to feature White Oak in the Smyrna area with homes from the low 200's. Coming soon in Forsyth County is Champions Run in the sought after Lambert School District from the $300's. Gwinnett County has several communities including Highland Park and Cooper Manor in Snellville, Story Farms in Norcross, The Enclave at Old Peachtree in Lawrenceville, The Townes of Avondale and Watermark in Buford. Homes range from the mid 100's to the mid 200's. They are excited to announce that they have several new communities coming asoon in Gwinnett, Fulton and Cobb counties. Coming soon to Gwinnett county is Paxton Landing in Snellville, Oakdale Commons and Horizon in Lawrenceville. Princeton Lakes should be open in the next few weeks and is located off of Camp Creek Parkway in Atlanta and Volunteer Ridge is coming soon to Mableton in Cobb county. Check back often for updates. Watermark in Buford - Plenty of Room to Grow with Added Space and Added Value! When you are looking for a new home, sometimes the homes are so small, you really can't imagine living there. Especially when you get into some townhomes. They are so tiny that you can not visualize your family living there. Buying a home is a long-term investment so it is important that there is plenty of room to grow. At Watermark, our three level homes have just that! Plenty of room to grow with added space and added value. Watermark has the added feature of a finished basement. If you like you can add a media room with full bath or a 4th bedroom or it is absolutely perfect for a Teen Suite or In-law Suite for your family! Watermark is in the perfect area that is close to The Mall of Georgia and minutes to Lake Lanier. If you love to shop and dine out then the Mall of Georgia has many top-notch retail stores and restaurants from which to choose. If you love to be out on the lake, then you will be right down the road from Lake Lanier. Lake Lanier is an exciting area with year round activities including fishing, boating, water-jets and skis, great hotels, golf, a water-park. Come and enjoy a fabulous retreat or day getaway! If you need to commute to work or play; you will find easy access to major interstates, I-85 and I-985. 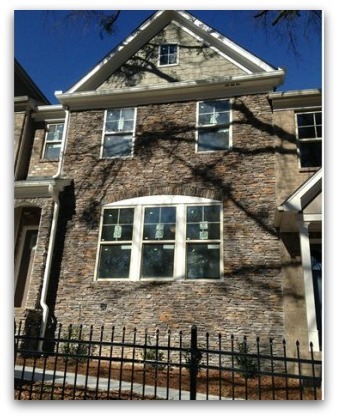 Rocklyn Homes is well-known in the Atlanta area for their attention to detail and the quality of their homes. Watermark features new craftsman-style townhomes with 3 or 4 bedrooms on three levels. These townhomes have features like large Owner's Suites, Bonus rooms, Kitchens with Morning Rooms and the finest upgrades including Granite Countertops, GE appliances, Hardwood Flooring and more. Rocklyn Homes is well known in the metro Atlanta area for their dedication to the homebuyer. Rocklyn has created a winning formula for building the best designed home at the greatest value in the best locations, all while ensuring the home is built of the utmost quality and you, the homeowner, is completely satisfied. 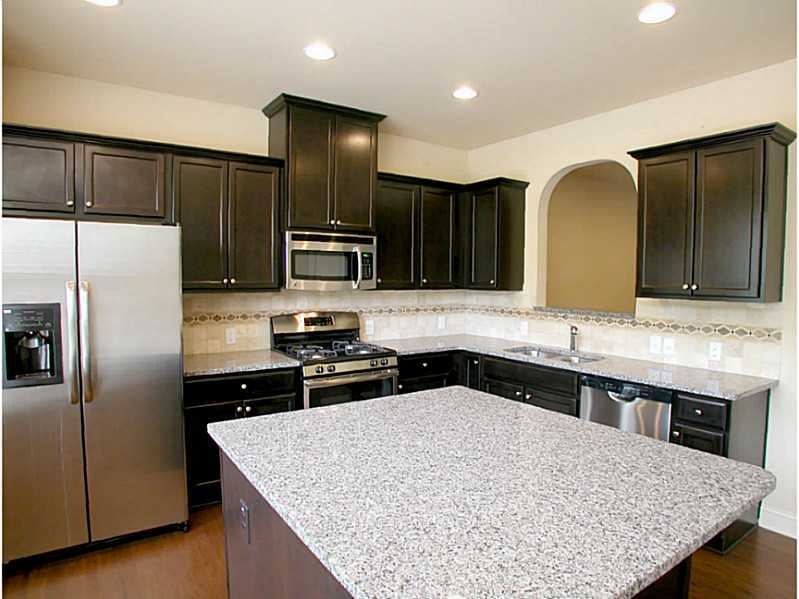 Rocklyn Homes build a beautiful well-constructed home at a reasonable price. Not only is the home well-constructed but you will find all of the top designer features that todays homebuyers want. Their promise to you is to deliver the quality, value, and reliability that makes a Rocklyn Home a home you’ll feel good in today and tomorrow. Rocklyn Homes has communities in Barrow, Cobb, Forsyth and Gwinnett counties and coming soon to South Fulton. In Barrow County and located just minutes from I-85, The Falls of Braselton features a variety of spacious 3-5 bedroom homes and was voted Barrow counties Top Selling Community in 2011. The Falls offers resort style amenities and easy access to the new Braselton Life Path. Come find out why so many have decided to make The Falls of Braselton home. Visit us online, email us or give us a call at 770-318-1342. Forsyth County features Champions Run in the Suwanee area from the 300's with a new phase starting soon. Check back frequently for pre-selling date. If you are looking for family-friendly convenience, great schools, and 4, 5 or 6 bedroom homes with basements then be sure to check out Champions Run, one of Rocklyn Homes’ newest swim/tennis communities. Coming soon in Fulton County is Highland at Princeton Lakes is conveniently located in South Fulton off of Camp Creek Pkwy and 285 in Atlanta and will feature our popular townhome series. Call 404-610-9054 or email us for more information. Rocklyn Homes is excited to announce a new buyer incentive at "award winning" White Oak! For a limited time you can get $10,000 buyer bonus on two story townhomes and $12,500 on the three story townhomes! These incentives can be used "any way you want" such as closing costs, HOA fees, or design upgrades. Not only will you receive $12,500 on the three story townhomes but you will also get free blinds, refrigerator and washer and dryer! *All incentives are on standing homes only with preferred lender. See onsite sales consultant for full details and requirements. If you have a goal to be in a new home in 2015, then this is the time to select your new home so that you are not "waiting in line" next spring for your new home to be built. Rocklyn Homes is now offering $10,000 Buyer Bonus plus Washer & Dryer,Refrigerator, Blinds and a fenced in back yard with preferred lender but hurry because you must choose a standing home and close by March 31,2015. Can't come up with a downpayment? Check out to see if you qualify for down payment assistance up to $7500 through the Georgia Dream Program* as well giving you up to $17,500 extra cash for closing costs, upgrades, downpayment and much much more. Not only is the cash incentive fantastic but you can literally move in your clothes, furniture, food etc and be ready to live in your new home without having to come up with the money for new appliances or blinds! This is a fabulous deal! * All information is believed to be accurate but is not warranted. Subject to errors, omissions, change or withdrawal at any time. *10,000 Buyer Bonus is with preferred lender only. Check with sales consultant for full details and requirements. *The Georgia Dream program has strict qualifications. Check with your on-site sales consultant to see if you qualify. Refrigerator, washer,dryer, blinds and fenced yard good on homes that close by 03/31/2015. Check with onsite sales consultant to get full details and qualifications! Visions of Sugar Plums...no wait...It's a $15,000 Buyer Bonus at Watermark in Buford! Not just for kids, if you have visions of sugar plums dancing in your head then check out an adult sized vision at Watermark in Buford! Tis the season for great sales and bargains but very few at the $15,000 level.....plus you can be in your new home in time for the holidays! It's not in your imagination....Rocklyn Homes is offering you a *$15,000 buyer bonus on their enchanting new townhomes at Watermark. You can be in your new home in time for the new year and enjoy a new craftsman style townhome featuring either 3 and 4 bedrooms on three levels. These townhomes have options like large Owner's Suites, Bonus rooms, Kitchens with Morning Rooms and the finest upgrades including Granite Countertops, GE appliances, Hardwood Flooring and more. Watermark is in an exciting area of Buford and close to the Mall of Georgia with easy convenience of major shopping and fabulous eateries all around your new home. Not only is Watermark convenient to the mall but it is minutes from Lake Lanier. It's not too late to enjoy the lake and the Magical Nights of Lights are going on now at Lake Lanier Islands Resort. If you love to be out on the lake, then you will be right down the road from Lake Lanier. Lake Lanier is an exciting area with year round activities including fishing, boating, water-jets and skis, great hotels, golf, a water-park. Come and enjoy a fabulous retreat or day getaway! If you need to commute to work or play; you will find easy access to major interstates, I-85 and I-985. School will soon be out for the holidays but wouldn't it be fantastic to enroll your child in top notch schools for the new year? Homeowners with children will attend schools in the Mill Creek Cluster including Mill Creek High which ranks an enviable 9 out of 10 in test scores. Mill Creek offers academic excellence including advance placement, fine arts, music, business and technology and many other academic courses. Mill Creek is also a Community School which holds summer camps, drivers education, baseball camps, dancing camps and much more to keep your children occupied throughout the year and give them a well-rounded experience. Act now and score $15,000 Buyer Bonus! If you act quickly, you can take advantage of this great deal! for a limited time Rocklyn is offering $15,000 Buyer bonus! The bonus is being offered on standing inventory only and is limited to contracts written after September 20, 2014 and must close by December 31,2014 to be eligible for buyer bonus. Homes ready to close now! All information is believed to be accurate but is not warranted. Subject to errors, omissions, change and/or withdrawal without notice. * Buyer bonus good on standing inventory only and is limited to contracts written after September 20, 2014 and must close by December 31, 2014 to be eligible for buyer bonus. Check with onsite sales consultant for full details. Are you thinking of a new home for 2015? Check out The Townes of Avondale near the Mall of Georgia in Buford for 4 homes that will be ready to close in a couple of months. That's right..this popular community is selling out rapidly so make your move to secure your new home and to make sure you don't get caught "waiting in line" for the next available home! Currently there are 4 homes that can close in January and February 2015. Once you visit this amazing new community you will see for yourself why it is selling so rapidly! The Townes offer exactly what today's homebuyers want. Not only does this community offer a neighborly atmosphere with "to die for" home plans but you will also enjoy an inviting community swimming pool for the hot summer. Want to know what the upgrades are available? The beautifully decorated model home showcases most of the upgrades that Rocklyn Homes offers including coffered ceilings, hand scraped hardwood floors, crown molding, stainless steel appliances, granite countertops, tile backsplashes, a gigantic bay window and wrought iron railings on the staircase. The Townes of Avondale is conveniently located minutes from the Mall of Georgia. If you love to shop or enjoy an evening out dining then this is the ideal location for you. Not only is it minutes from the mall, but it is a very short drive to Lake Lanier and has easy access to major interstates. This area also boasts of several Gwinnett County parks such as Bogan Park and Duncan Park. Here you can enjoy sport recreational areas, basketball courts, playgrounds and much much more. Tucked away right behind the Mall of Georgia is Mill Creek Nature Center which is a nature preserve with lush hiking trails and old mills. For more information, visit us online or give Tina Gensler a call at 770-722-3706. We look forward to seeing you! What could be more exciting than spending your holidays in a brand new home? Rocklyn Homes is excited to announce that they have seven communities with homes that can close during this holiday season and beyond. You must choose a standing home that can close by January 15, 2015 and you can earn thousands of dollars in incentives and buyer bonuses* (each bonus is individual to a specified community and you must use their preferred lender and close by January 15, 2015.) See the onsite sales consultant for full details and requirements. Rocklyn has several communities participating in the "Home for the Holidays" program in Barrow, Gwinnett and Cobb counties. In Barrow County is the "award winning" The Falls at Braselton with 5 homes ready to close now. For a limited time, Rocklyn Homes is offering a $20,000 Buyer Bonus at this community. Located just minutes from I-85, The Falls of Braselton features a variety of spacious 3-5 bedroom homes and was voted Barrow counties Top Selling Community in 2011. The Falls offers resort style amenities and easy access to the new Braselton Life Path. Gwinnett County has The Enclave at Old Peachtree in Buford has 4 homes ready to close now and is offering a $10,000 Buyer Bonus plus free flooring upgrade. Conveniently located just minutes from I-85 and Sugarloaf Parkway, this community with Carriage style homes has close proximity to The Mall of Georgia and Sugarloaf Mills. 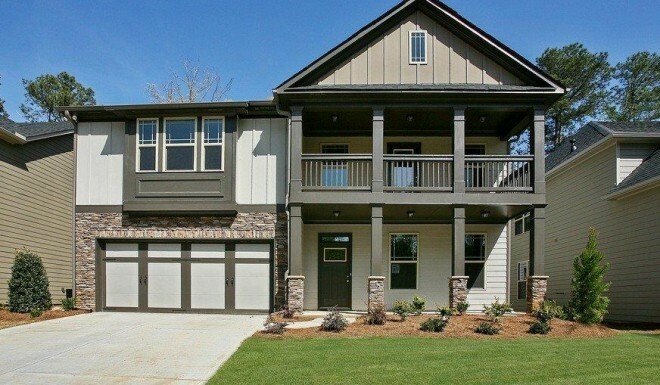 Also in Buford, Watermark is featuring 48 gorgeous craftsman style townhomes. WaterMark has 5 homes ready to close now with a $15,000 Buyer Bonus. Buyers will be delighted with WaterMark’s perfection location close to I-85, The Mall of Georgia, shopping and dining. In the convenient Norcross area is Story Farms. This amazing new community sold 19 homes in just 3 days and only 15 remain! For a limited time you can receive up to $5000 in closing costs (+) an Extra $2000 Buyer Bonus. Conveniently located off I-85 on Jimmy Carter Boulevard, Story Farms offers a sought after location with easy access to shopping, dining and Downtown Atlanta. East of gorgeous Stone Mountain in the Snellville area is Highland Park. This new townhome community has 5 homes ready to close now plus a $7500 Buyer Bonus! Highland Park is conveniently located off of Hwy 78 in Snellville and features our popular townhome series. Down the road a bit, you will find one of Rocklyn's newer townhome communities, Cooper Manor. This amazing new community is offeirng a $7500 Buyer Bonus (+) $1000 Broker Bonus and has 5 homes ready to close now! Cooper Manor is conveniently located off of Hwy 78 in Snellville and will feature our popular townhome series. Close to Grayson, Loganville and Snellville. In Cobb County, you will find "award winning" White Oak. White Oak offers two-story luxury townhomes in one of the most sought-after areas of Cobb County near the intersection of I-285 and I-75 in Smyrna. With fine shopping just minutes away, proximity to the Silver Comet trail and easy access to downtown parks and entertainment venues, there’s something for everyone here. Now offering $12,500 Builder Allowance (+) $1000 Broker Bonus. As it says in the famous Perry Como Song, there's no place like home for the holidays! Make sure you capture this opportunity! Visit Our Website to find a community near you. 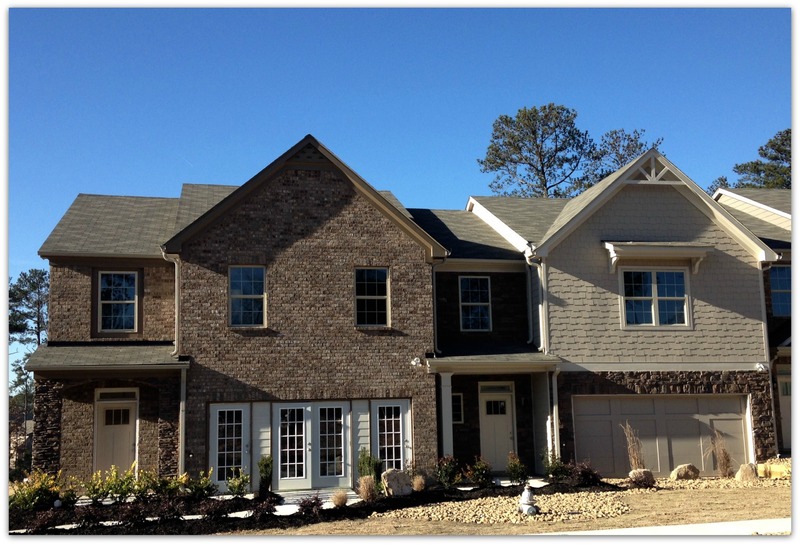 The Falls at Braselton has 5 Homes Ready Just In Time For The Holidays! $20K Buyer Bonus Available! The Falls of Braselton feature roomy homesites including many level basement homesites available if you would like to build your home from plan. You will enjoy the amenities at this "top selling" community including a swimming pool, clubhouse, fitness room, lighted tennis courts and a beautiful river walk trail. This amazing new home community features three to five bedrooms homes with many on basements.Rocklyn Homes builds each and every home with care and quality. They believe that the most important home they will build is yours. If you want to come home to granite countertops, beautiful french doors with lots of light, gorgeous hardwood floors, game rooms, media rooms, sunrooms, study and masters on the main (all options per plan) then The Falls of Braselton is a fabulous find for you! See our homeplans or launch our virtual tour here. The Falls of Braselton is ideally located minutes from I-85 for a quick commute. If you love to shop, it is a very short drive to Tanger Outlets among many other shopping destinations. Not only are will you be close to I-85 for commuting, but you will be able to enjoy Braselton Life Path which allows area residents and visitors to be able to stroll, bike or take a golf cart to dinner, to the office, to get a haircut, or for ice cream or shopping. The LifePath also provides an ideal path for exercising and visiting with friends. Chateau Élan is very close as is the foothills of the North Georgia Mountains and Lake Lanier. The Falls of Braselton are also very close to the new hospital. During spring 2015, Northeast Georgia Medical Center Braselton will open its doors to bring exceptional healthcare directly to the Greater Braselton community. The future 100-bed hospital will be the state's first net-new hospital, meaning not a relocation or replacement, in almost 20 years. The warm days of fall are here and this is the perfect time to move into your new home. You will enjoy the lighted tennis courts fitness center or you could take a nature walk to enjoy the fall colors. The clubhouse is large enough for large gatherings. Next summer you will be in place to enjoy the fabulous swimming pool and long sultry days of summer. Directions: I-85 North to Exit 126 (Hwy 211). Turn left. Go approx 2 miles and turn right at the entrance. Get point to point directions here. For more information on the new homes at the Falls of Braselton click here or give us a call at 770-791-0115! or visit us 24 hours a day online. *All information is believed to be accurate but is not warranted. Subject to errors, omissions, change and/or withdrawal without notice. $20,000 Buyer Bonus is on homes that are closed by 12/31/2014. Please check with the onsite sales consultant for full details and requirements. Rocklyn Homes were honored to win a total of 4 awards including 3 Gold Awards and 1 Silver at the 2014 OBIE Awards held on November 8th at Atlanta Marriott Marquis. The OBIE Awards program is presented by the Greater Atlanta Home Builders Association, Inc.’s Sales and Marketing Council to honor excellence in building, remodeling, marketing and personal achievement in the homebuilding industry. Rocklyn won 4 awards at the OBIES including a Gold award for their community of White Oak, Single Family Attached - All Builders, $199,999 & Under and they also won in conjunction with Marketing Results Inc. , Gold for Best TV Spot for Enclave at Old Peachtree and Gold for Best Billboard for their community, Watermark plus they won the Silver for Best Magazine Ad. Rocklyn just recently was named in the Atlanta Business Chronicles Top 20 Home Builders list which just came out in August. The builders are ranked by the number of homes closed in 2013 and Rocklyn is number 8! Why is Rocklyn Homes so successful in the metro Atlanta area? Rocklyn has created a winning formula for building the best designed home at the greatest value in the best locations, all while ensuring the home is built of the utmost quality and you, the homeowner, is completely satisfied. Rocklyn Homes build a beautiful well-constructed home at a reasonable price. Not only is the home well-constructed but you will find all of the top designer features that todays homebuyers want. Their promise to you is to deliver the quality, value, and reliability that makes a Rocklyn Home a home you’ll feel good in today and tomorrow. Rocklyn Homes has communities in Barrow, Cobb, Forsyth and Gwinnett Counties. For a limited time there are buyer bonuses going on at communities across the board if you close by 12/31/2014. Visit Rocklynhomes.com for more information. In Barrow is The Falls of Braselton and is located just minutes from I-85, The Falls of Braselton features a variety of spacious 3-5 bedroom homes and was voted Barrow counties Top Selling Community in 2011. Homes start from the 160's. Cobb County is proud to feature White Oak in the Smyrna area with homes from the low 200's. In Forsyth County there is Champions Run in the Suwanee area from the 300's. Gwinnett County has several communities including Highland Park in Snellville, Story Farms in Norcross, The Enclave at Old Peachtree in Lawrenceville, The Townes of Avondale in Buford and Watermark in Buford. Homes range from the mid 100's to the mid 200's. Coming soon in Gwinnett County is Cooper Manor in Snellville and Horizon in Lawrenceville. Check back often for updates. Who doesn't love chili on cold blustery day and when you can try several kinds it certainly makes it interesting. On November the 11th, Realtors were invited to come and have lunch and tour the beautiful homes at The Enclave at Old Peachtree and win some gas cards in the process. Over 35 agents came for lunch and voted on the best of five and the winner was the Bison Bombshell Chili! You can come out and check out our new homes that are ready to close now. For a limited time, Rocklyn Homes is offering a $10,000 Buyer Bonus*(on listed homes) and as a special gift they will also include a free flooring upgrade! They have several homes that are ready to close now and many that can close in 30 days but these homes and incentives won't last so act quickly. Homes Ready to Close Now! Ideally located minutes from I-85 and Sugarloaf Parkway in Lawrenceville, The Enclave at Old Peachtree is a prime area. Your client will be just down the road from Lake Lanier and have easy access to shopping at either The Mall of Georgia or Sugarloaf Mills (formerly Discover Mills), both which are minutes away. 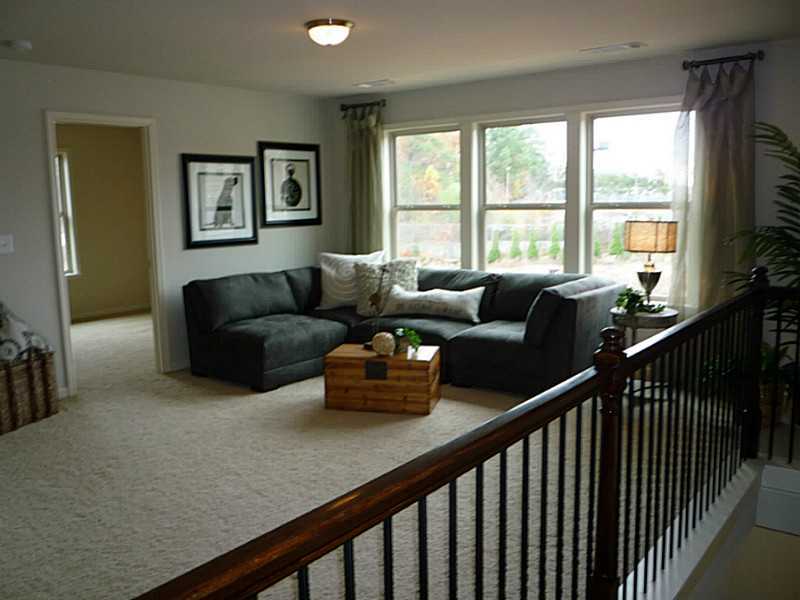 At Rocklyn Homes, they believe that each home is the most important home they will build. This means that each home is built with quality that will last a lifetime. Not only is each home built with excellent quality but your client will love the designer touches in each home plan. Make your move now to secure their place...before they are all gone! *Information believed accurate but not warranted and is subject to change or withdrawal without prior notice. This offer is only good on the homes mentioned in this flyer. On contracts written after 10/1/14. Home must close by 12/31/14 to receive bonus. Must use preferred lender for closing cost bonus. Restrictions apply. See on-site agent for details.